There are four types of cardiomyopathy. Each type can be caused by genetic factors, environmental influences, or a combination of both genetics and environment. Dilated cardiomyopathy (DCM) is characterized by an enlargement of the left ventricle chamber of the heart. DCM can be related to coronary artery disease (ischemic) or may arise purely from a defect in the cardiac muscle itself (non-ischemic). 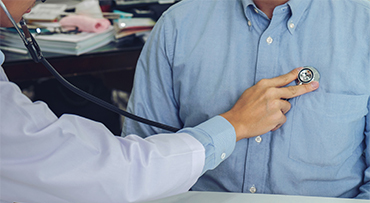 DCM usually begins as an enlarged heart and may progress into diminished functionality of the heart, and as the disease progresses, can lead to congestive heart failure. Among patients diagnosed with DCM, over half of those with non-ischemic cardiomyopathy can be attributed to a genetic cause. More than 30 different genes have been associated with DCM, and genetic testing is available for a number of these genes. In the cases of inherited DCM, there may be a family history of DCM (“enlarged heart”) or congestive heart failure. DCM can also be associated with life-threatening irregular heart rhythms (arrhythmias), which can be treated and prevented. Because of the risk of irregular heart rhythms, it is important to identify family members at risk. A family history of sudden death may be an indicator that some family members have DCM. Hypertrophic cardiomyopathy (HCM) is characterized by a thickening of the heart walls, which interferes with the heart’s ability to pump. This condition can lead to congestive heart failure. Many people with HCM also have irregular heart rhythms (arrhythmia). Thickening can occur in several places: The wall of the heart’s left ventricle, the wall of the right ventricle or the septum (the wall between the left and right ventricles). In some cases, thickening occurs in more than one location. HCM can cause irregular heart rhythms — a problem that can be life-threatening — but can be prevented with device or medical management. So, it is important to identify the problem and take steps to help prevent it. A family history of sudden cardiac death or fainting may suggest the presence of HCM and the need for diagnostic testing. Nearly 70 percent of HCM cases are due to genetic causes. Our Cardiovascular Genetics Clinic offers genetic testing for many of the genes that cause hypertrophic cardiomyopathy. Arrhythmogenic right ventricular dysplasia/cardiomyopathy (ARVD/C) is characterized by an enlargement of primarily the right ventricle of the heart with a change in the consistency of the heart tissue. ARVD/C can also affect the left ventricle with a similar change in the cells that occupy the heart (called “fibrofatty infiltration”). ARVD/C can also be associated with life-threatening irregular heart rhythms such as ventricular tachycardia. Cardiologists at UChicago Medicine can treat these irregular heart rhythms with medication or other interventions. Restrictive cardiomyopathy is characterized by normal left ventricular size but diastolic dysfunction. Restrictive cardiomyopathy that is infiltrative (amyloidosis, hemochromatosis, glycogen storage disease) can have a genetic component, for which genetic testing is available. UChicago Medicine is one of few institutions in the country with expertise in cardiac amyloidosis. Our physicians specialize in the diagnosis and management of primary amyloidosis and hereditary/nonhereditary TTR amyloidosis. Learn more about cardiac amyloidosis. Duchenne muscular dystrophy and Becker muscular dystrophy (DMD/BMD) are progressive muscle diseases that originate from defects in the same gene (the dystrophin gene). In these conditions, the dystrophin protein is also defective in the heart muscle cells. As a result, nearly all individuals with DMD or BMD will develop cardiomyopathy. Early treatment for cardiomyopathy can slow the development of heart disease; therefore, it is important to see a cardiologist if you have DMD or BMD. Additionally, irregular heart rhythms (arrhythmia) are common among people with DMD or BMD. Arrhythmia can be effectively treated or even prevented with proper intervention. Limb girdle muscular dystrophy (LGMD) is a subset of neuromuscular disorders characterized by progressive skeletal-muscle weakness. Some of the limb girdle muscular dystrophies also affect the heart, primarily leading to dilated cardiomyopathy. Early management of LGMD cardiomyopathy can slow progression of the disease, with the goal of preventing heart failure. Patients with LGMD should be evaluated by a cardiologist. Myotonic dystrophy is a degenerative muscle disease that results in muscle myotonia, or the inability of the muscles to relax (such as difficulty relaxing a grip). Other organ systems can be involved such as the heart with irregular heart rhythms. Irregular heart rhythms can be effectively treated or prevented with proper intervention including medications and/or devices. Myotonic dystrophy is caused by an expansion of one of two genes. Genetic testing is available to diagnose this condition for appropriate disease management. 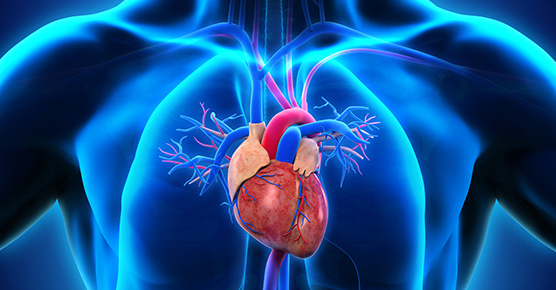 Marfan syndrome is a connective tissue disorder that can affect the heart valves and the aorta. Marfan syndrome is caused by mutations in the fibrillin-1 gene. These mutations can lead to abnormalities of the skeleton, tall stature, and problems involving the aorta or heart, such as aortic valve insufficiency, mitral valve insufficiency (mitral valve prolapse) or atrial fibrillation. People with Marfan syndrome are at risk for an enlarged aorta, which can lead to aneurysm and life-threatening rupture. Early diagnosis and medical management can slow the development of aortic enlargement. Aneuryms (outpouchings or bulges of the blood vessels) can develop as part of Marfan syndrome or independently. Aneurysms can run in families. Early screening and treatment can be life-saving. Long QT syndrome can be seen as an abnormality on the electrocardiogram (ECG). This syndrome can be associated with irregular heart rhythms, fainting or sudden cardiac death. Long QT syndrome runs in families and can be diagnosed by genetic testing and ECG. Early diagnosis and treatment can be life-saving. The heart has four valves, and abnormalities of these valves may be present at birth or can develop over time. Conditions such as bicuspid aortic valve and mitral valve prolapse may run in families. Congenital heart defects are present at birth. Adults born with congenital heart defects may require lifelong cardiovascular management of their defect — even if the defect was repaired surgically during childhood. Some congenital heart defects are caused by gene mutations and, therefore, may present a risk to other relatives including children. Genetic testing is available for some congenital heart defects. A family history of sudden death raises suspicion for an inherited form of cardiovascular disease. 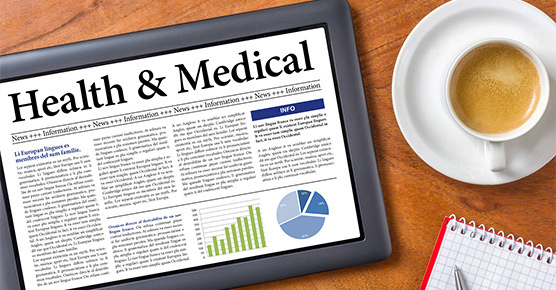 We work closely with families and review their medical records in order to understand potential causes of sudden death. Our team can provide a risk assessment.